Definition at line 126 of file fci.c. Definition at line 134 of file fci.c. 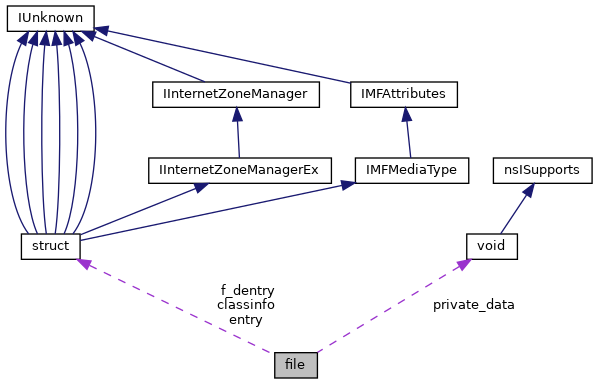 Referenced by add_file(), add_file_data(), fdi_decomp(), FDICopy(), and write_files(). Definition at line 117 of file filesystem.c. Definition at line 132 of file fci.c. Referenced by add_file(), add_file_data(), fdi_decomp(), FDICopy(), file_stat(), and write_files(). Definition at line 128 of file fci.c. Referenced by add_file(), add_files_to_folder(), add_wildcard(), free_assembly(), free_file(), free_list(), free_package_structures(), load_file(), move_files_wildcard(), and process_group(). Definition at line 136 of file fs.h. Definition at line 131 of file fs.h. Definition at line 132 of file fs.h. Definition at line 135 of file fs.h. Definition at line 134 of file fs.h. Definition at line 133 of file fs.h. Definition at line 131 of file fci.c. Referenced by add_file(), add_files_to_folder(), and write_files(). Definition at line 118 of file filesystem.c. Referenced by create_file(), and impl_from_IFile(). Definition at line 135 of file fci.c. Referenced by add_file(), add_files_to_folder(), auto_rename(), bad_name(), build_source_filename(), check_file(), close_temp_file(), copy_file(), create_temp_file(), EnumerateSectionsStartingWith(), find_section(), free_assembly(), get_ea_value(), get_string_subst(), handle_dot(), HLPFILE_AddHotSpotLinks(), install_assembly(), lookup_symlink(), nfs41_create(), nfs41_delegreturn(), nfs41_symlink_follow(), nfs41_symlink_target(), open_update_cache(), path_fh_init(), path_name(), process_inf(), process_version(), recover_open_no_grace(), rename_file(), server_lookup(), set_ea_value(), SetupEnumInfSectionsA(), SetupEnumInfSectionsW(), uninstall_assembly(), write_files(), write_serialize_function(), write_struct_tfs(), and write_union_tfs(). Definition at line 321 of file cache.c. Definition at line 130 of file fci.c. Referenced by add_file(), auto_rename(), check_file(), drop_file(), fdi_decomp(), FDICopy(), rename_file(), test_file(), and write_files(). Definition at line 121 of file filesystem.c. Referenced by delegation_create(), lookup_symlink(), nfs41_create(), nfs41_delegreturn(), nfs41_symlink_follow(), nfs41_symlink_target(), open_update_cache(), and path_fh_init(). Definition at line 137 of file fs.h. Definition at line 119 of file filesystem.c. Referenced by BackgroundCopyFile_AddRef(), BackgroundCopyFile_Release(), d3dx9_file_AddRef(), d3dx9_file_Release(), and load_ciffile(). Definition at line 129 of file fci.c. Referenced by add_file(), add_file_data(), add_files_to_folder(), check_file(), file_stat(), undelete(), and write_files(). Definition at line 133 of file fci.c.